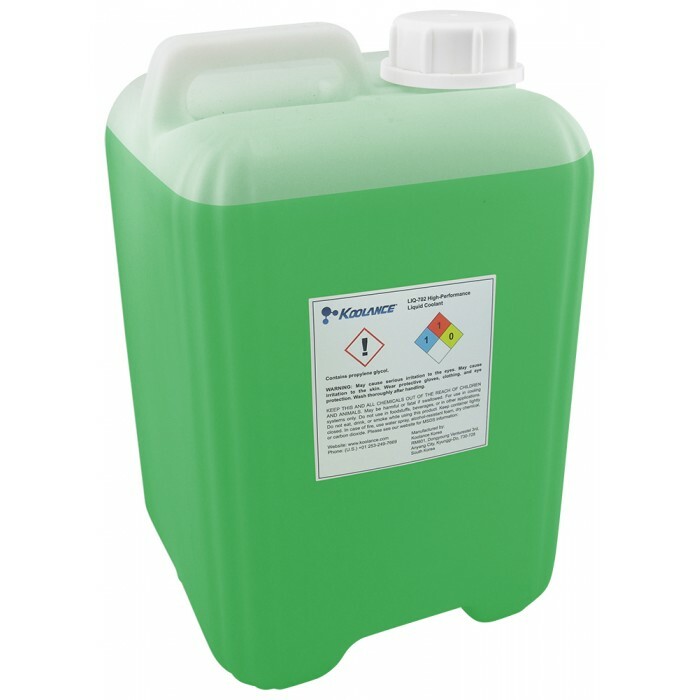 Koolance 702 series coolant is used by many industries requiring a high performance, low-toxicity, reliable coolant with corrosion and biological inhibitors. A high quality coolant is extremely important for addressing dissimilar metals and biologic growth (bacterial and algae) long-term. Koolance liquids will not clog components and can typically be used for 2-3 years before replacement is recommended. This container includes 5 liters (169 fl oz) of prediluted coolant. It's recommended to replace the coolant at least every 2-3 years, or immediately if there is any change in color or clarity. NOTE: Not recommended for polycarbonate plastics or other PC-based plastics.